A well-nourished population, one of the three Global Food Security Strategy (GFSS) objectives, cannot be achieved without having all members of households and communities, including male decision-makers, engaged in better nutrition and hygiene practices. Check out the stories and resources below that highlight a few successes and opportunities in achieving both greater gender equality and better nutritional outcomes working with both women and men in nutrition interventions. Strengthening Partnerships, Results and Innovations in Nutrition Globally (SPRING) — USAID’s multi-sectoral nutrition project — focuses on scaling up high-impact nutrition practices and policies. SPRING, in collaboration with Digital Green, worked with community members to produce and screen a series of community videos to promote effective maternal, infant and young child nutrition (MIYCN) and hygiene practices in Niger. The videos emphasize a more comprehensive, whole-of-family approach in MIYCN and hygiene that includes fathers and other family members. Follow-up research revealed that the community videos have helped fathers better understand good nutrition practices, facilitated conversations between wives and husbands, and encouraged couples to more equally share responsibility for child nutrition and care. “It is between the couple to take care of and maintain together the welfare of their children by improving service quality, state of health, and their food as well as taking together all the dimensions and burdens of having children,” one husband who was introduced to MIYCN messages said. “You see the responsibility is shared between husband and wife, which was not possible a few years ago.” Check out the videos and read the report to find out more about this approach. You can also learn more about this report in this post by SPRING on Agrilinks. 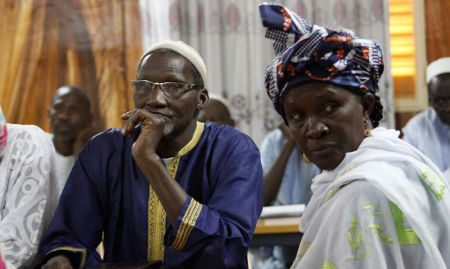 In Senegal, SPRING identified couples who were well-known in their communities to become “gender champions” as part of its community-based nutrition approach. Gender champion couples received training on relieving women’s workload by involving men in household and gardening chores and improving household hygiene. This video highlights how male engagement in so-called “women’s work” has the potential to free up women’s time for improved child feeding and care practices, transform gender stereotypes, and improve the health and nutritional outcomes of the family. This brief provides an overview of lessons learned from SPRING’s experience in Senegal. You can also read about this project in SPRING's latest post on Agrilinks. Through the Feed the Future Zambia Mawa Project, Catholic Relief Services and partners are supporting communities tackling food insecurity and malnutrition by promoting essential health and nutrition practices, such as optimal breastfeeding and complementary feeding practices, to women and men in rural households. Since participating in Mawa, both women and men have been feeding their children more diverse and nutritious food using better feeding practices, and they feel empowered by seeing their children growing up healthy. Including men in nutrition activities and discussions has helped them recognize the importance of providing nutritious food to their families and increasing their participation in household chores related to child care and feeding. As a result, women were able to find the time to rest or participate in other Mawa activities. During focus group discussions, fear of women’s empowerment leading to men’s disempowerment, women’s laziness and perhaps divorce were observed among a few participants including both men and women. The project found that couples responded more positively to messages linking gender equality to better household development outcomes, such as improved child health, increased agricultural production and increased income, compared with messaging focusing solely on women's empowerment. See this post to learn more about qualitative research on women’s empowerment in the Mawa project. Governments are taking notice of these whole-of-family approaches to improve nutrition. The Agriculture, Nutrition and Gender Linkages (ANGeL) project in Bangladesh is jointly funded by the Government of Bangladesh and USAID, designed by IFPRI, and implemented by the Bangladesh Ministry of Agriculture. ANGeL is brining male and female household decision-makers together for agricultural production, nutrition and gender sensitization trainings to identify which training combinations are most effective in a number of nutrition and gender empowerment outcomes and scale them up nationally. 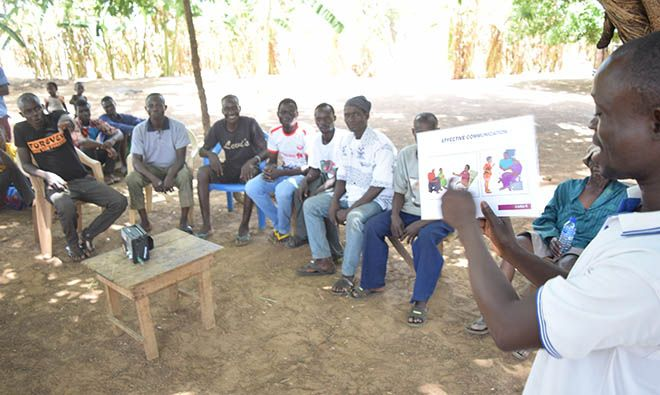 The USAID-funded Resiliency in Northern Ghana (RING) project and the Ghana Health Service at the district level in the Northern Region of Ghana are aiming to scale up Father-to-Father Support Groups, piloted in 2017 by SPRING/Ghana. The groups discuss family-oriented issues that include healthy feeding and care practices for children, household chores and responsibilities, and men’s roles in their families’ health and nutrition. What is the most interesting thing you learned? Please share your thoughts, experiences and suggestions on this topic! Click the “START NEW DISCUSSION” button on the right to post any questions or comments you have. Are There Nutritional Tradeoffs in Increasing Women's Time in Agriculture?